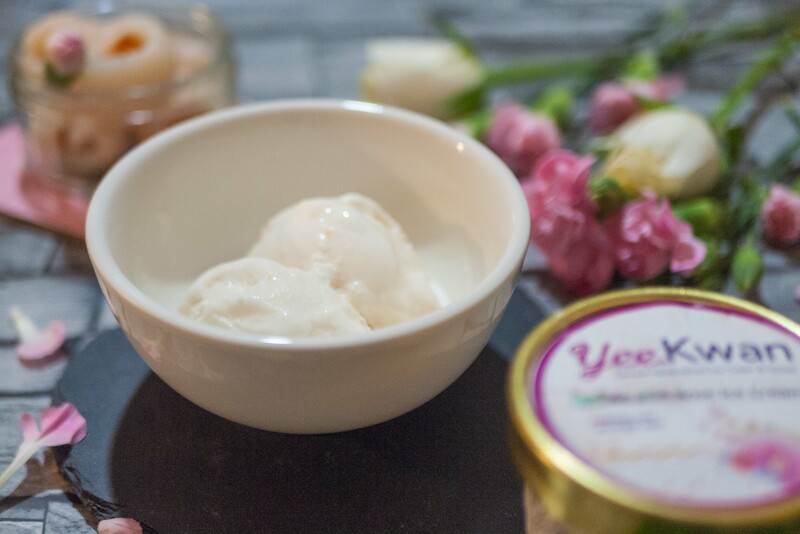 Yee Kwan is born in Sheffield where the ice cream is still made. Originally a chartered surveyor, she changed career to follow her passion for food. Yee Kwan famously appeared on Dragon’s Den, where she won the backing of Deborah Meadon. Her background is similar to mine in that we both have family in Hong Kong’s area of Tai Po. The ice cream is made from fresh lychees and rose whipped with milk and cream. The lychee flavour is inspired by the lychee tree located in her father’s village. The mixture of lychee and rose works quite well; you initially taste the lychee and then the rose flavour comes through towards the end. It is sweet but not rich and the consistency of the ice cream is quite smooth. Each tub is 125ml, roughly one scoop of ice cream, and costs £2.50. One tub contains 142 calories, 3.5g saturated fat, 20.25g carbs, 20g sugar and 3.2g protein. I highly recommend checking out the other flavours! You can pick up a tub of their Lychee and Rose ice cream for just the month of February at Harvey Nichols Manchester. 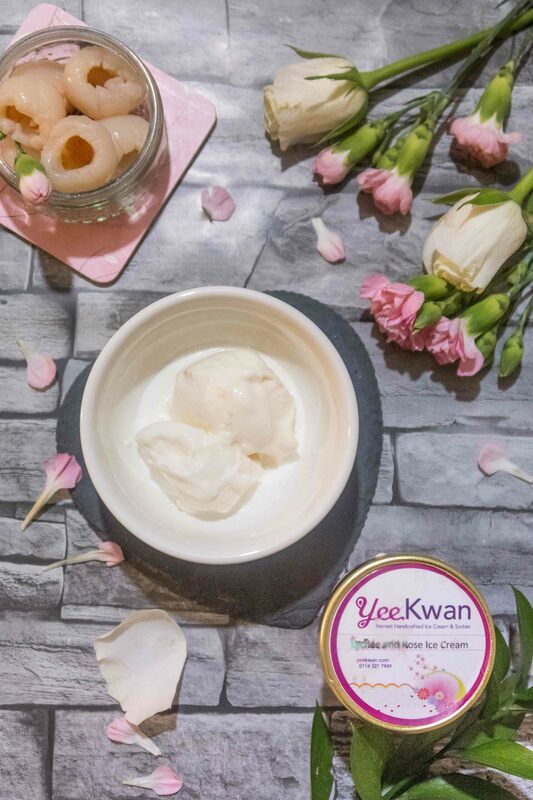 Yee Kwan’s other flavours can also be found at Ocado and Whole Foods. It can also be found in the desserts menu at Wagamama, Patara, The Royal China, Shoryu Ramen and Wok n Go. 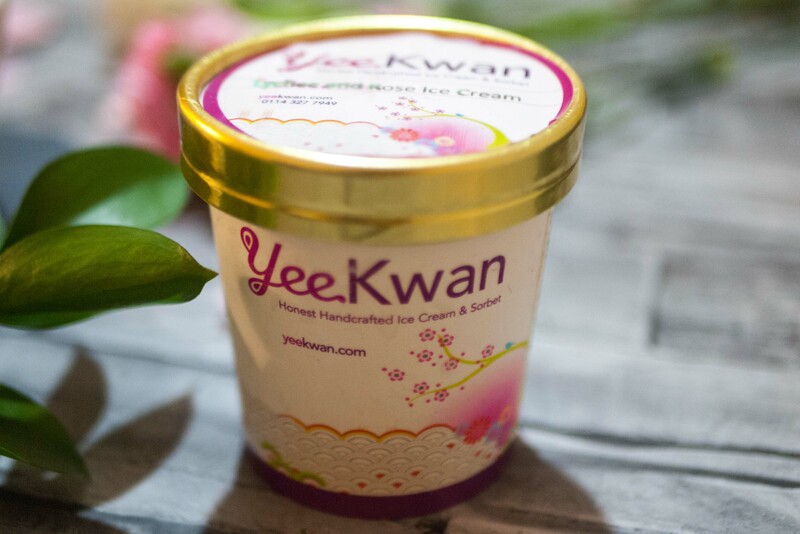 Have you heard of Yee Kwan’s ice cream? Would you try ice cream with unusual flavours?